On a trip to Iowa last week, former Gov. Tim Pawlenty attracted attention not for his policy positions, but for the way he was speaking. Many people thought they heard him using a southern accent. Back in Pawlenty's home state of Minnesota, an MPR News listener said when he heard a report on the Pawlenty speech on the radio, he couldn't believe who it was. "I didn't understand where the accent came from," said Mike Supina, a St. Paul architect. "He sounded like he was from Arkansas." 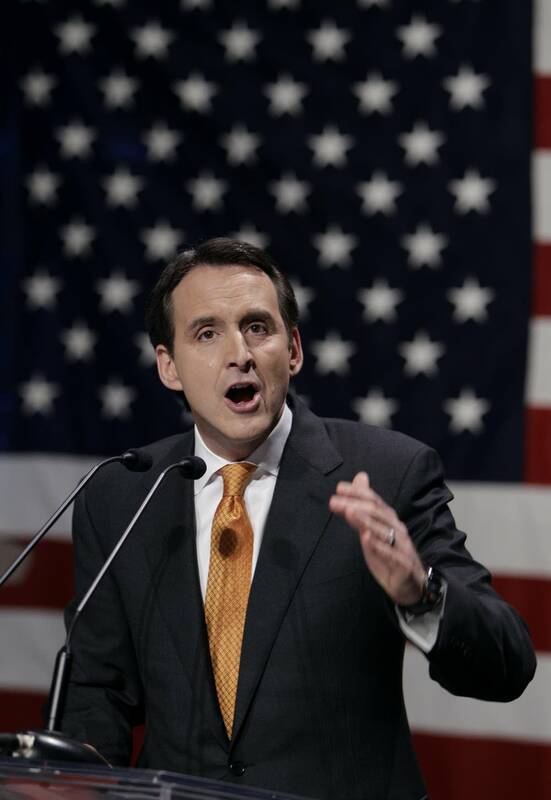 Do you think Tim Pawlenty has a new southern drawl? Listen to these audio samples. Pawlenty, who lives in Eagan, is from the south — South St. Paul, that is. MPR News asked a few people at Pro Pharmacy in downtown South St. Paul to listen to part of Pawlenty's Iowa speech. All but one had no idea it was their city's native son speaking. "He didn't even talk like that when he was governor," Lois Simon said, adding that he sounded like George Bush. A Washington Post writer also picked up on Pawlenty's accent. Asked about it after a speech last weekend in New Hampshire, Pawlenty said he sometimes doesn't "use the exact king's English." But he added that he's not adopting an accent to project a folksy image. "Anybody who actually follows me closely or has looked at these speeches over the years knows that from time-to-time I do that, and it wasn't some sort of strategic decision for that group," Pawlenty said. "I've done it in Minnesota. I've done it in other places." But Supina, the architect who contacted MPR News about the way Pawlenty sounded, said he's followed Pawlenty closely for years, and never heard him speak like he did in Iowa. "I've heard Pawlenty speak a lot since he was a state representative," Supina said. Earlier this year at the Conservative Political Action Conference in Washington D.C., Pawlenty used some of the same lines he used in Iowa, but he sounded a lot more like the Tim Pawlenty Minnesotans are familiar with. Back in South St. Paul, Jim Fleischaker, who cuts hair at the Cutting Corners Barber Shop, said he had no problem with Pawlenty's accent. "He never ceases to surprise me," Fleischaker said. "To reach the southern people, you've got to speak to them like they do." But University of New Hampshire political scientist Dante Scala said candidates need to be careful to avoid presenting too many different faces as they travel the nation looking for support. "You have to be who you are," Scala said. "You never want to become a laughing stock, of course, but you don't want to be seen as inauthentic." But Scala said sticking to who you are isn't always easy for candidates scrambling for support and trying to appeal to all kinds of people in all kinds of places.